Preheat your Yoder Smokers YS640 (or other grill) to 400ºF, set up for direct grilling. With a good chef's knife cut the skin off of the pineapple. Cut the flesh into equally sized spears, lengthwise. Evenly distribute your coconut flake in a sheet pan. Place the sheet pan directly on the grill grate. Keep a close eye on the coconut. When it is just tan, remove from heat. Meanwhile, place pineapple spears over the direct heat on GrillGrates. 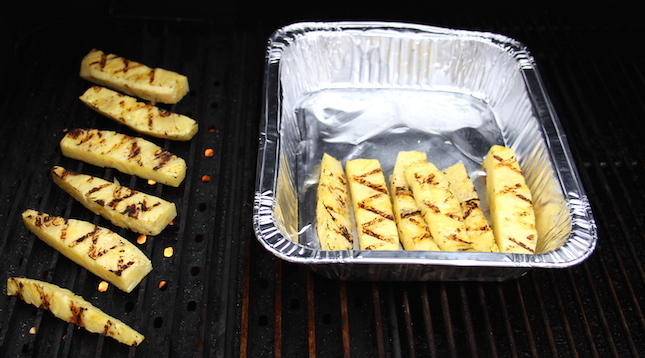 Grill on each side long enough to get some nice grill marks and slightly soften the pineapple. Dice pineapple. In a bowl, combine the yogurt, coconut and diced pineapple. Mix to incorporate. If desired, reserve some of the diced pineapple and toasted coconut to garnish for serving. Enjoy!